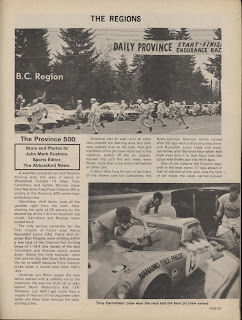 First day of a weekend of racing. 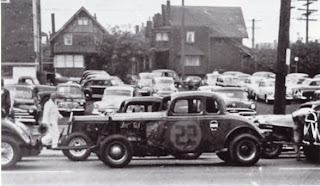 40 cars in the pits. 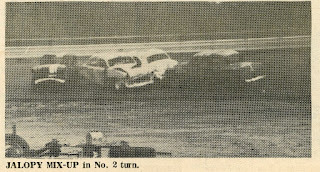 All three classes racing late in July. 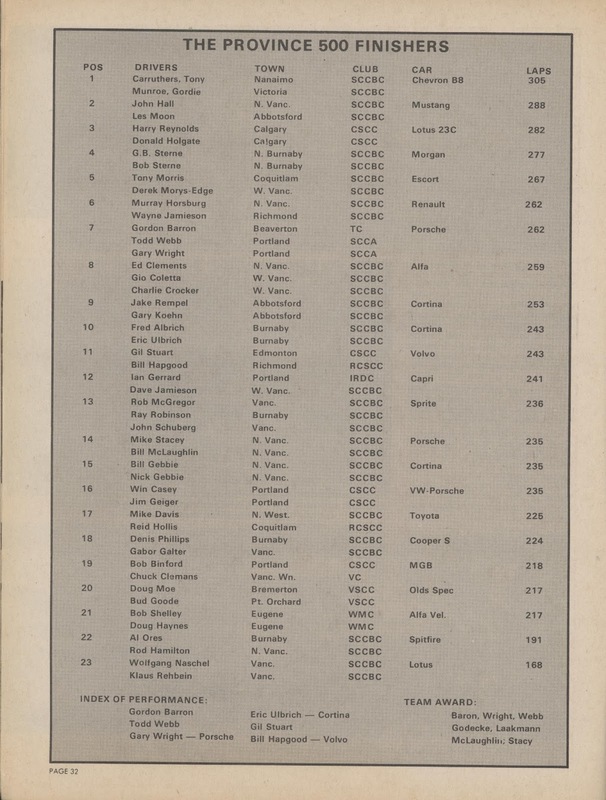 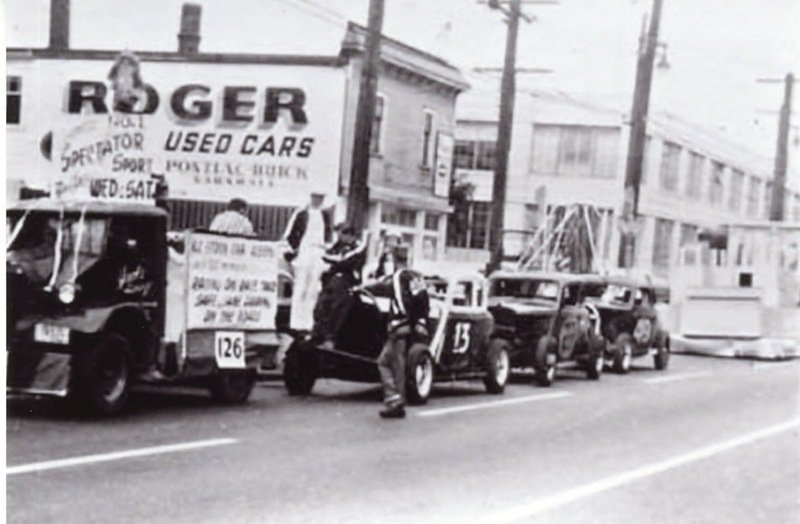 1 – Al Prendergast, Sr.
4 – Al Prendergast, Sr.
5 – Al Prendergast, Sr.
8 – Al Prendergast, Jr. 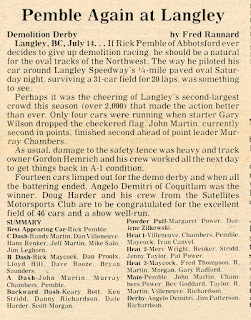 The demolition derby/race returns. 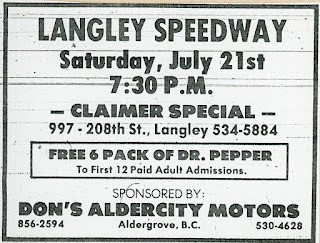 A very popular attraction in the 1979 season. 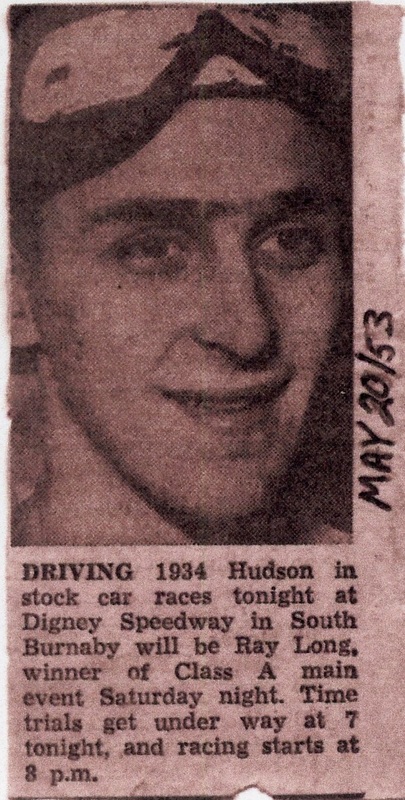 Better get back to this. 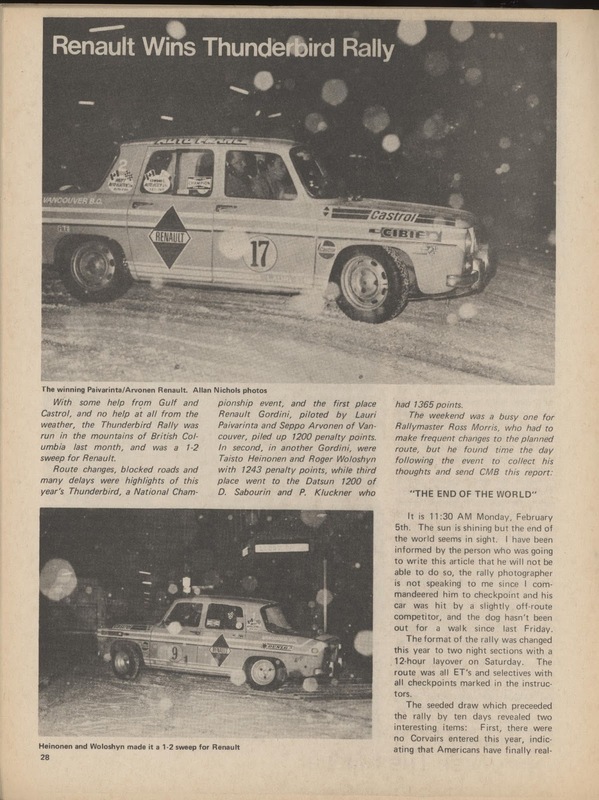 The coverage in Racing Wheels was pretty good thanks to Fred Rannard. 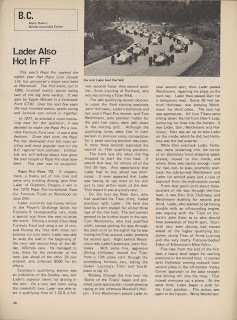 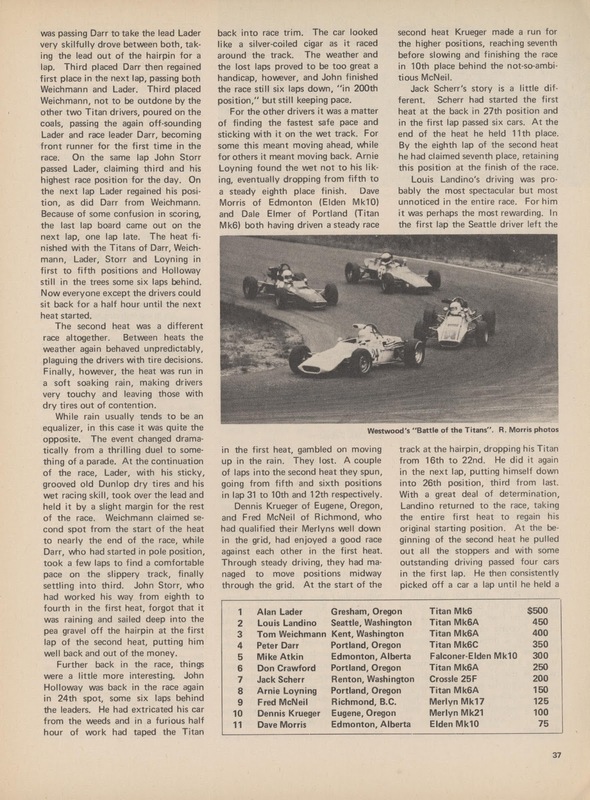 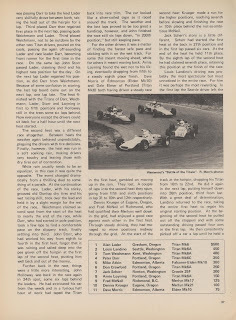 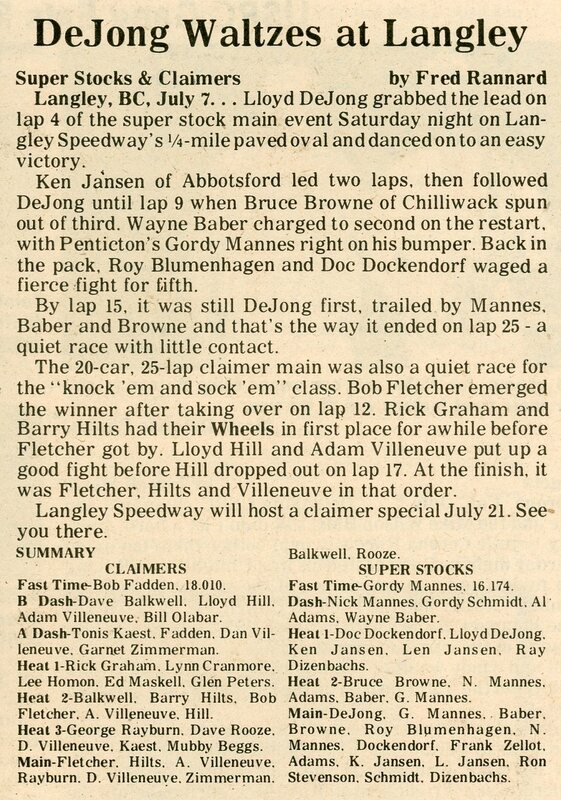 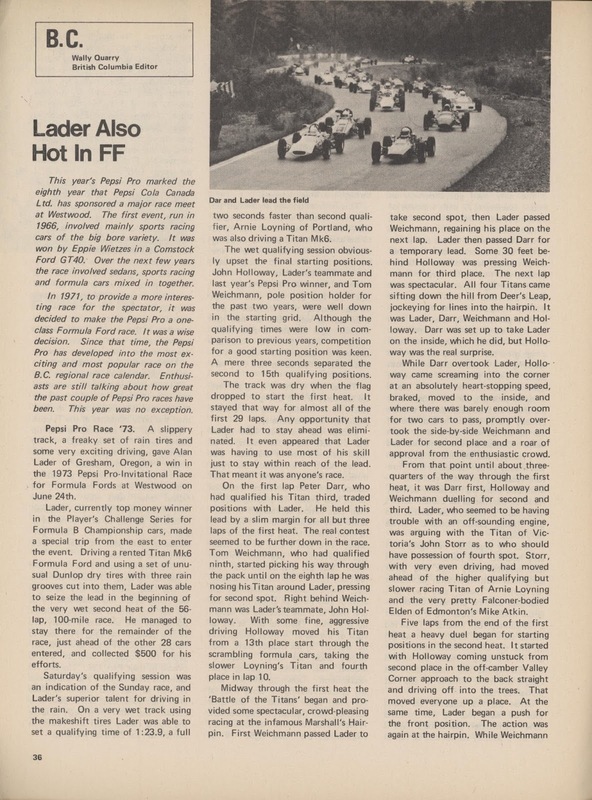 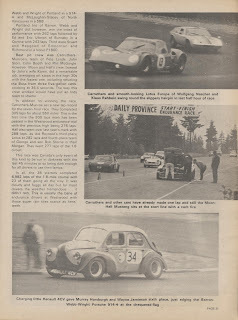 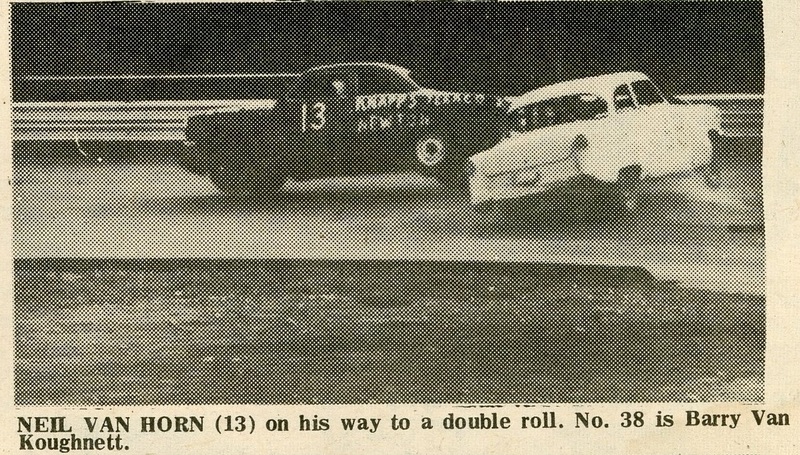 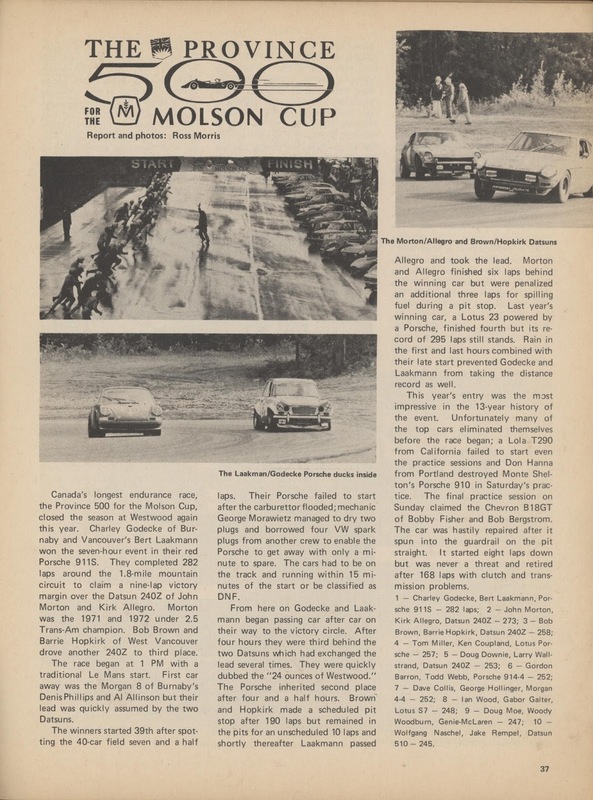 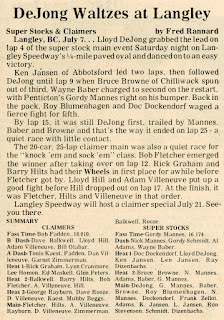 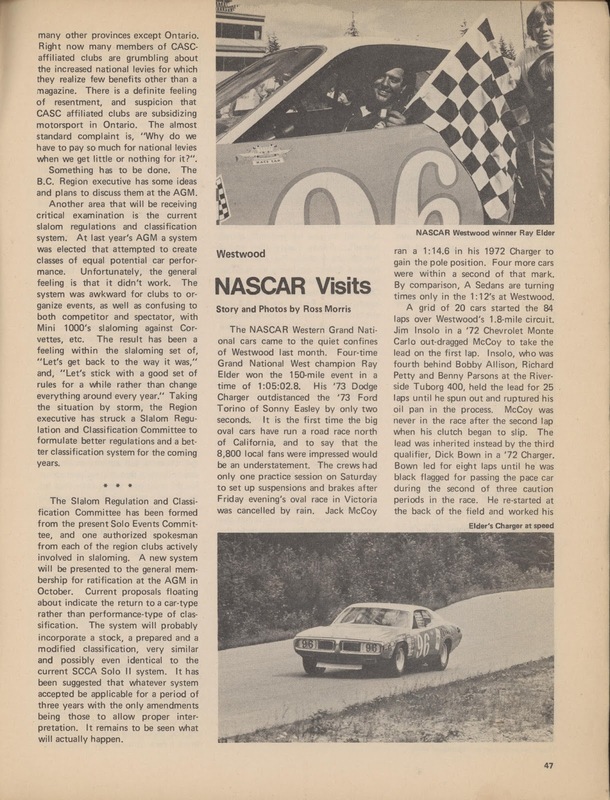 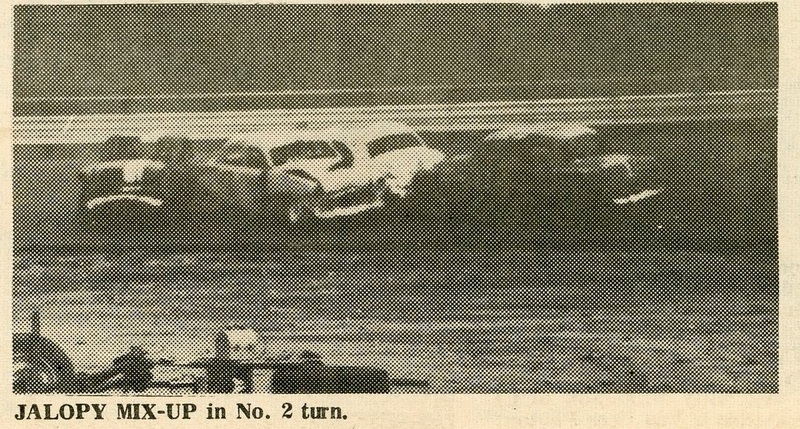 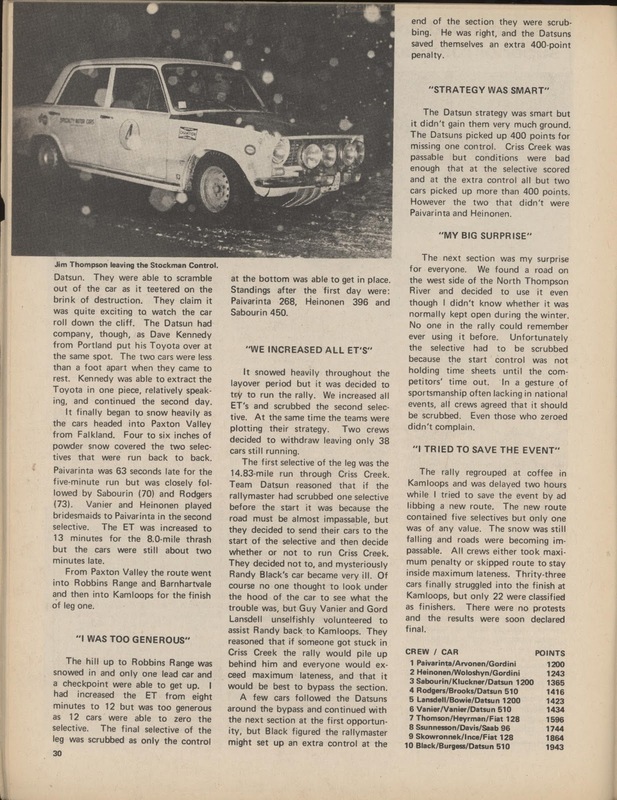 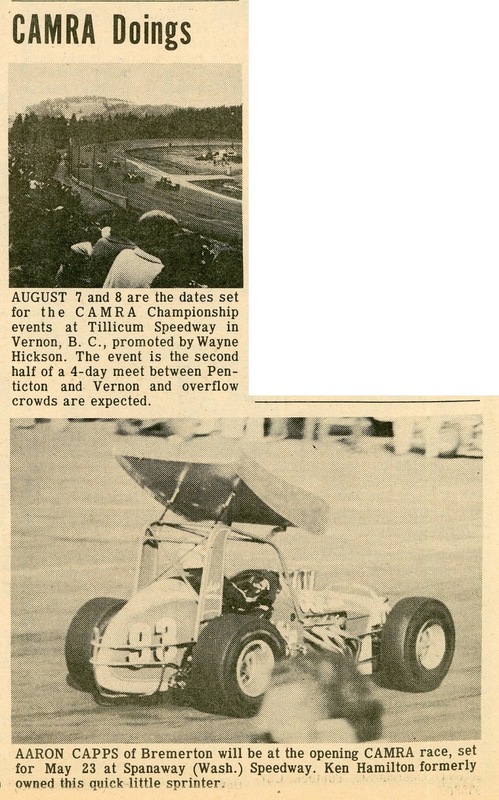 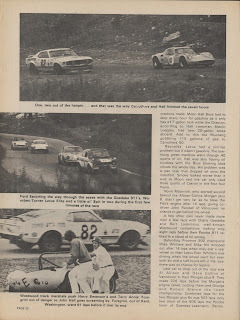 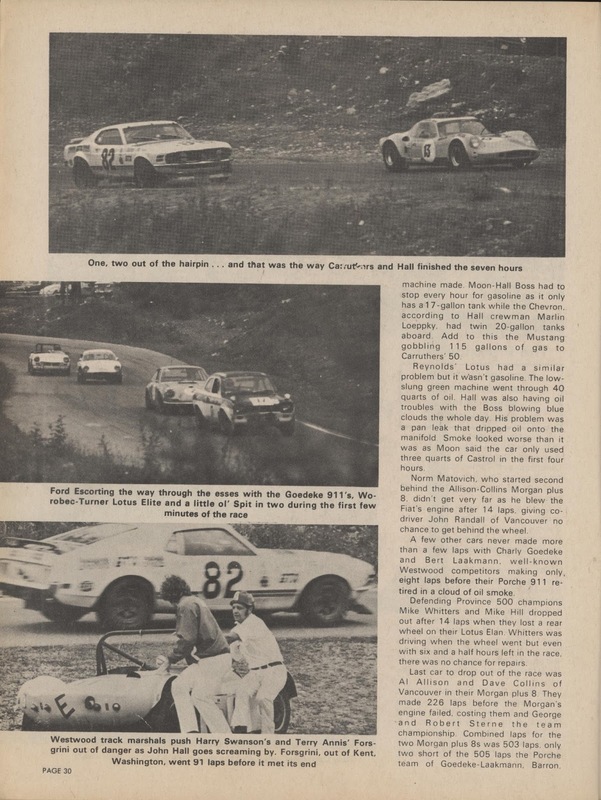 From the last race of the season, Racing Wheels, October 9, 1965. 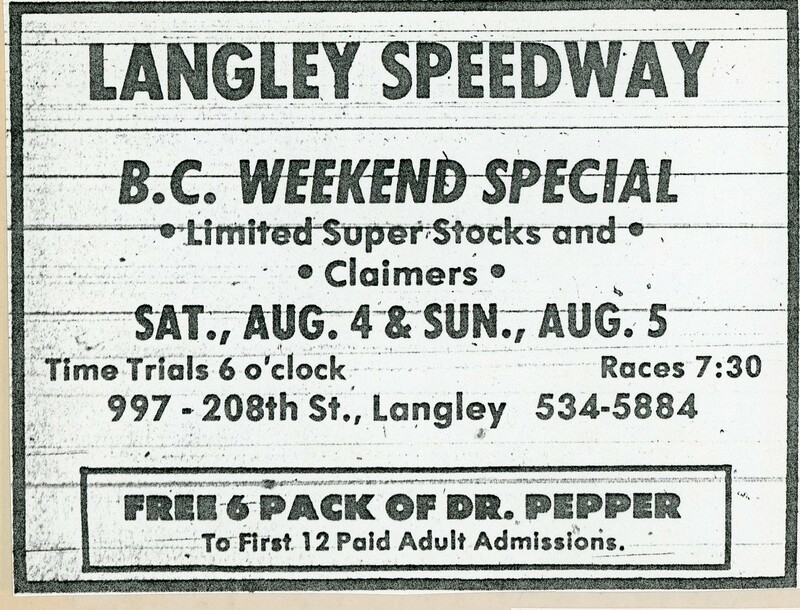 I'm not sure these came from Roy Long. 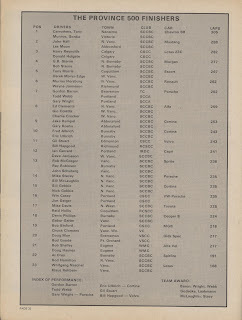 I will say so until I remember otherwise. 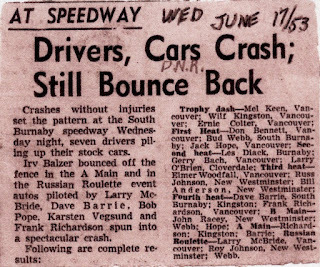 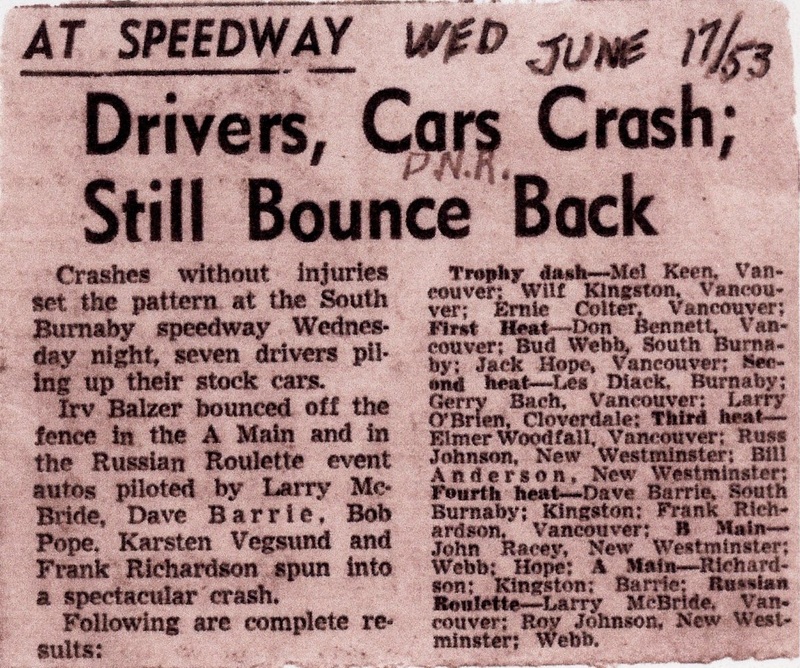 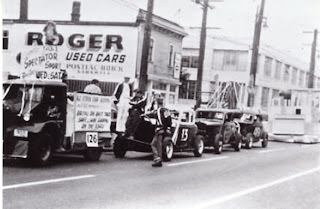 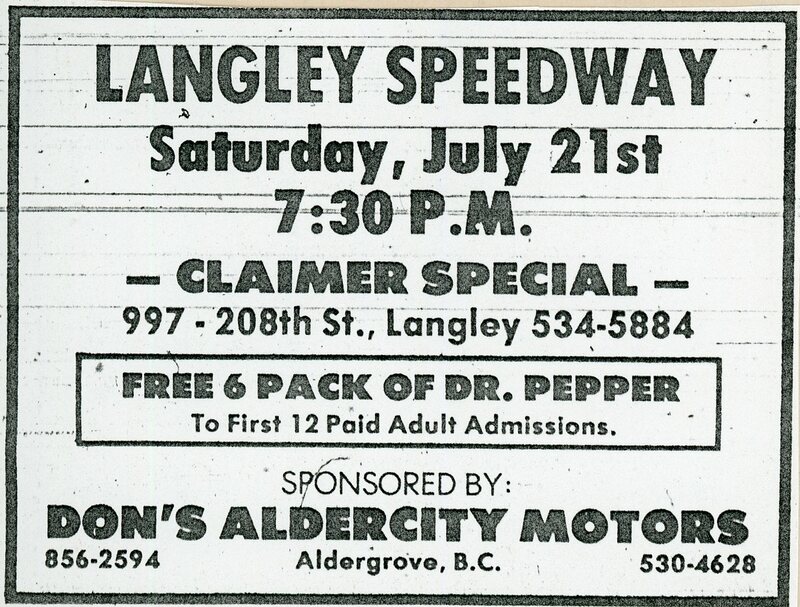 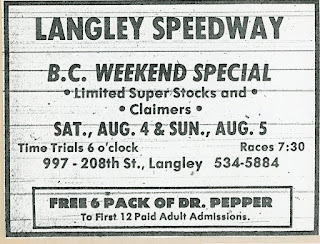 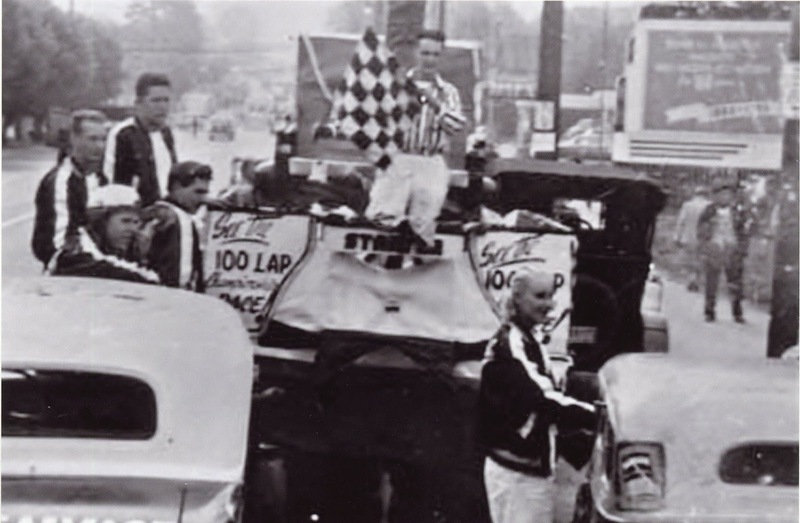 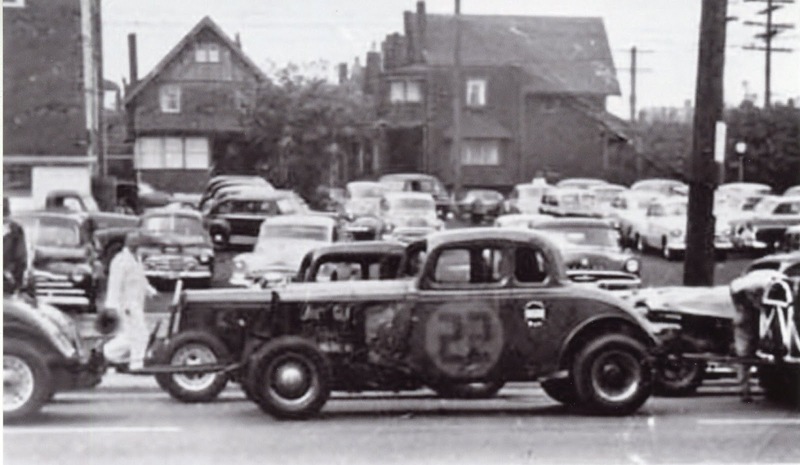 Looks to be the 1953 PNE parade, the BC Stock Car Association having an entry in the festivities. Roy Long's number 5, Kaija Kalevala's 82 and the 22 of Mel Keen. 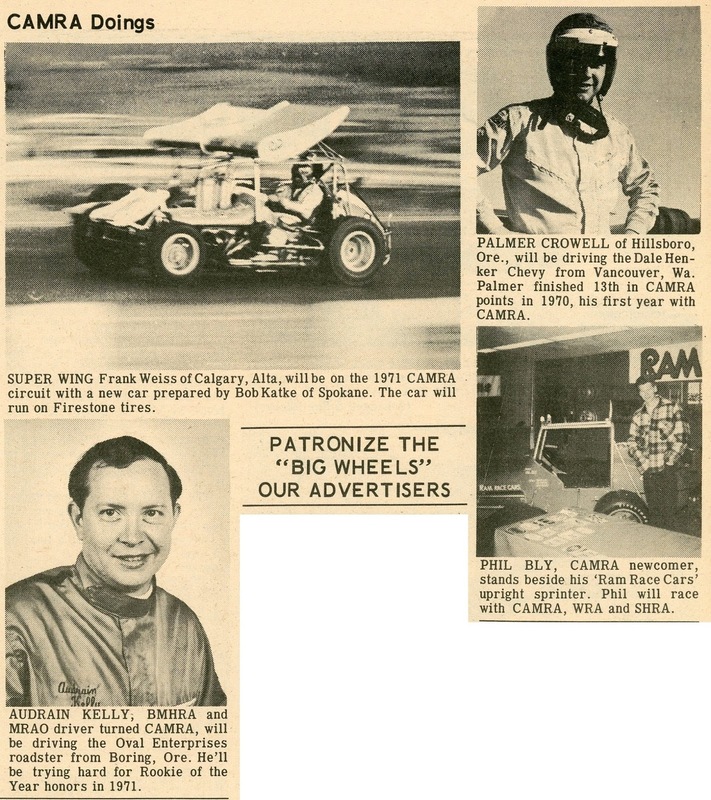 Including a picture of Roy himself. Photocopies of news clippings from the Roy Long collection. 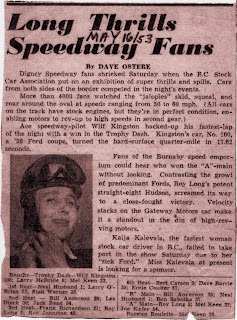 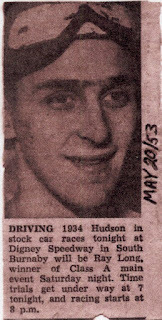 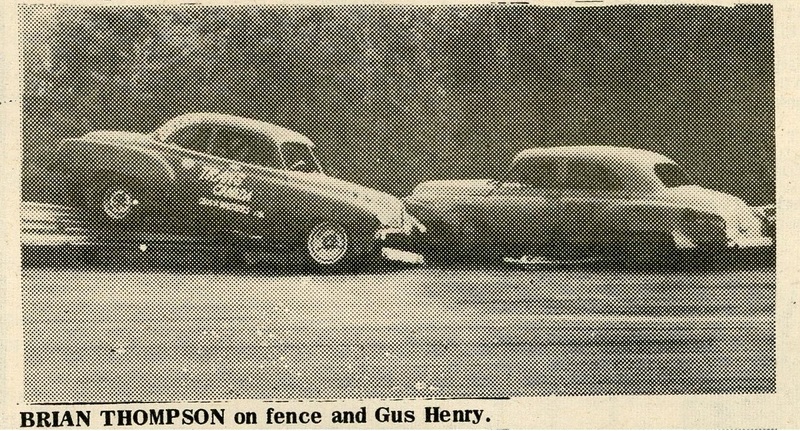 Digney Speedway, 1953. 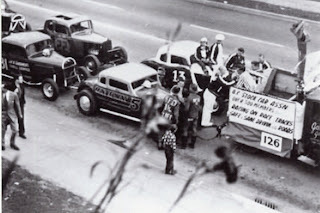 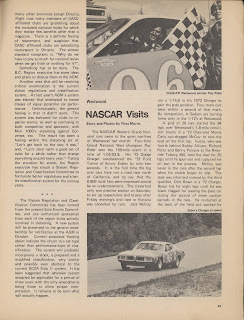 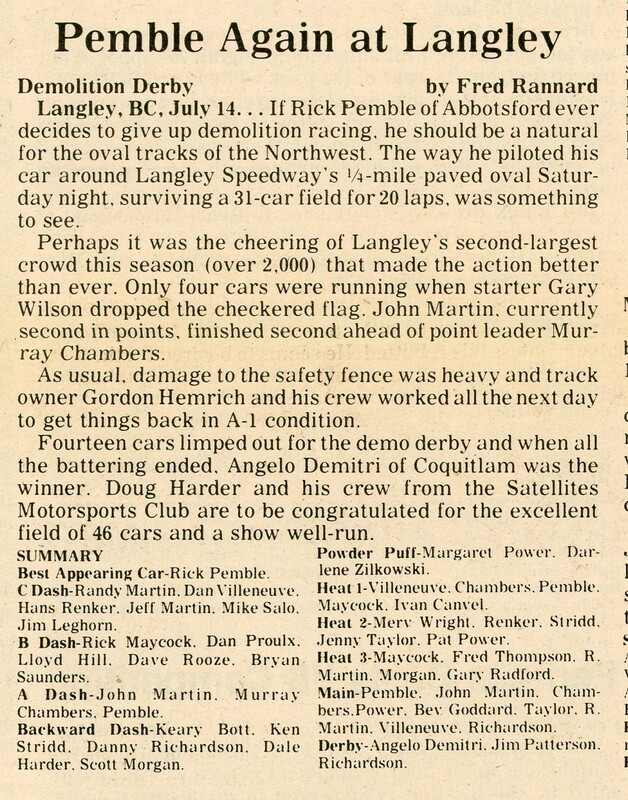 The 1973 Western Grand National NASCAR race at Westwood. 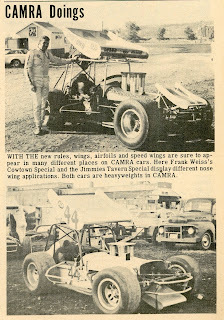 Leading up to the season opener, more "CAMRA Doings" from Racing Wheels. 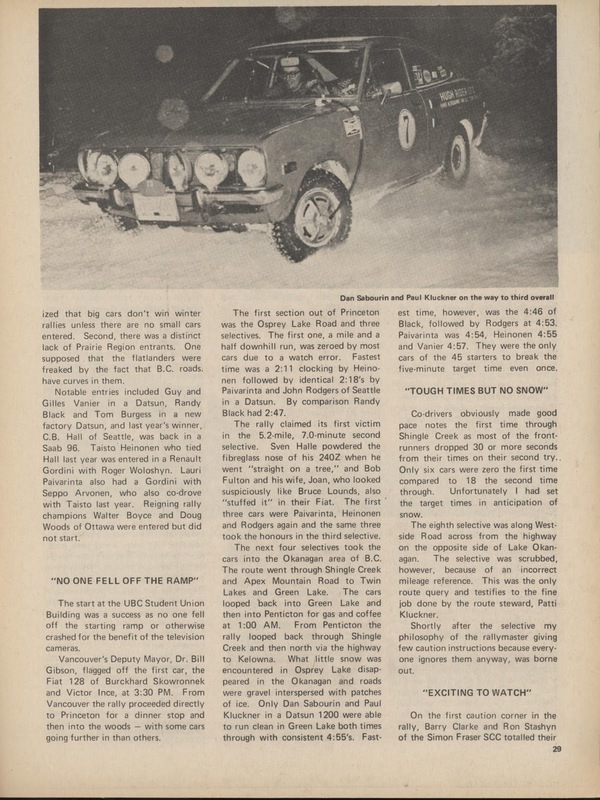 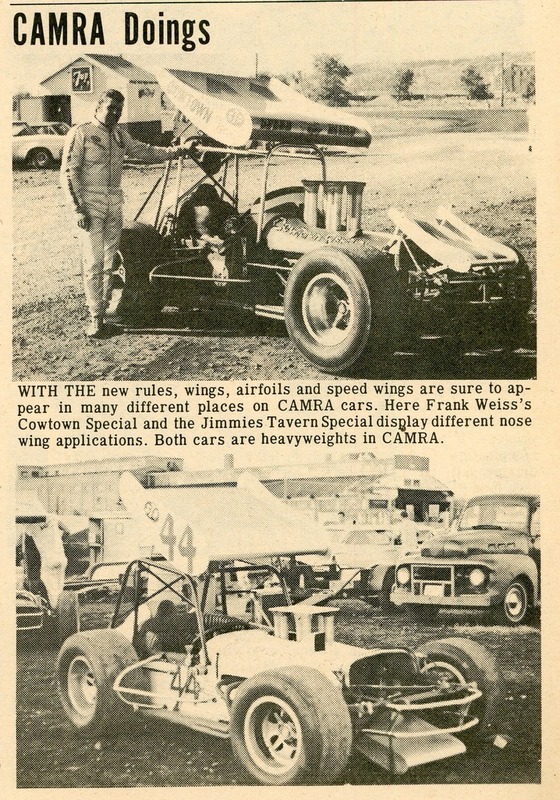 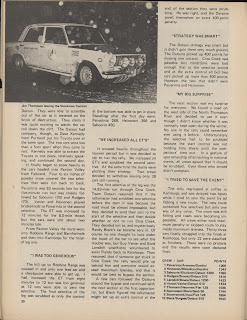 More clippings from Racing Wheels featuring CAMRA news. 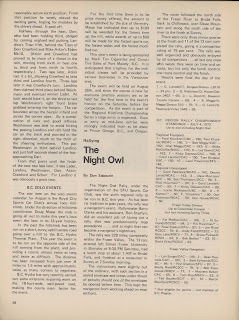 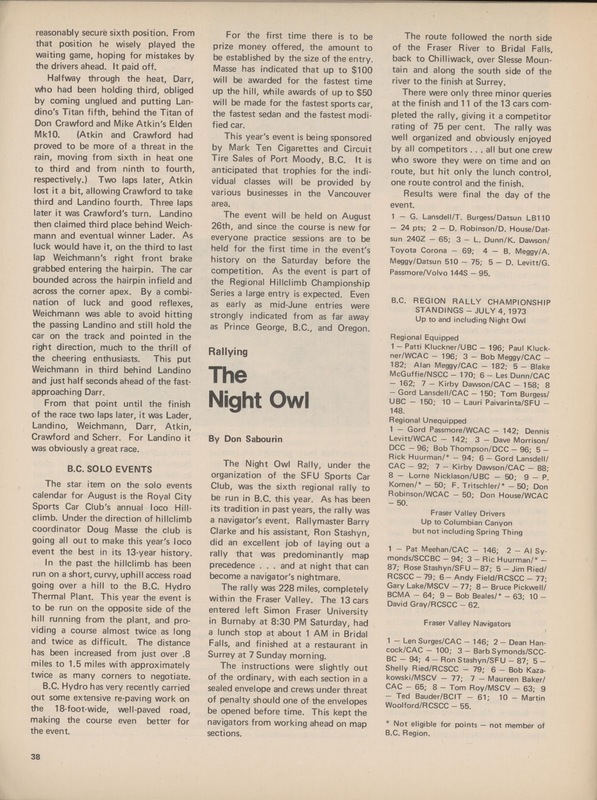 Continuing with the CAMRA theme from 1971.